Fine ales, good food! Support your local pub! 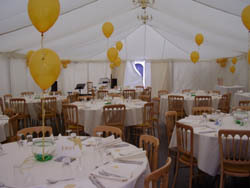 Sidbury marquee was purchased in 2006 from Marshal Marquees. It was 9 metres x 9 metres and was paid for by various groups in Sidbury including Sidbury fireworks, Sidbury fair, horticultural show and Edwin and Joyce Hill Charitable Trust. In 2008 the marquee was extended to its present size of 15 metres x 9 metres. 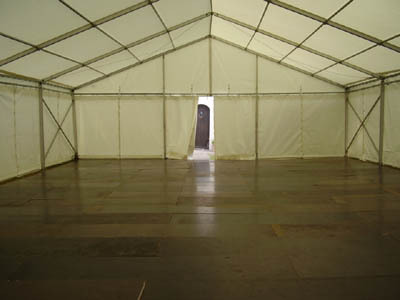 The extension was funded by the marquee itself because it is hired out for various events in Sidbury and the surrounding area. 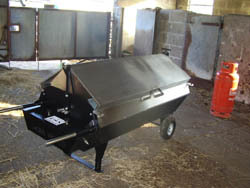 There is now a hog roaster for hire purchased brand new with proceeds from the marquee and a donation from Sidbury fair. If you wish to hire it, get in touch using the details above.